I came across this story today and felt I had to share it with others. Although I have spoken with many people with similar stories, I have never come across such gross negligence. Gross negligence is a conscious and voluntary disregard of the need to use reasonable care, which is likely to cause foreseeable grave injury or harm to persons, property, or both. It is conduct that is extreme. If this is not a case of gross negligence then what is? Why can’t we hold psychiatrists responsible for the harm they cause? Why is this being allowed to continue? With no due recourse and with nowhere to turn, this lady can only endure what has been done to her by mental health “experts”. This article is reprinted with permission from Vitality Magazine. See the original article posted at http://vitalitymagazine.com/article/an-open-letter-to-doctors/. Originally, there were no pharmaceuticals in our house – not even an aspirin, but I became a drug addict when I was prescribed a benzodiazepine for insomnia. My insomnia started after I received a cluster of immunizations which I didn’t want, but took because I was told it would be irresponsible of me not to. I was around 40, recently married, and had a dozen young godchildren. One of the shots was rubella: the other two were combinations. They were all given at one time. Immediately after the vaccination, I became crippled with profound muscle weakness and severe ‘atypical’ inflammatory arthritis, some of my fingers became gnarled and I was in a wheelchair for a while. Over many years I was able to reverse most of the physical damage, but the insomnia persisted. Needless to say to say, I did not have children and henceforth in medical reporting I was referred to as ‘middle aged, short-haired, bespectacled, casually dressed, and childless.’ Even though I had to change careers, I remained fully engaged in life, busier than most. I took very small amounts of the benzodiazepine intermittently for several years. I took it only for sleep and it seemed to help a little, but I was also becoming ‘anxious.’ At that time I did not recognize ‘anxiety’ as a possible adverse effect/reaction to the benzodiazepine, nor did I know about interdose interval withdrawal. When my mother died on Christmas Eve 2002, my sleep got worse and I was prescribed a higher dose of the benzodiazepine. My sleep deteriorated further and I became jittery, I tried to withdraw from the benzodiazepine. I was in trouble. You call yourselves doctors, but you didn’t recognize that not only had I been having adverse reactions to the benzodiazepine, I also had benzodiazepine withdrawal syndrome. You decided I was depressed, and you gave me an antidepressant. When I became agitated and developed a tremor, you said I had agitated depression. You call yourselves doctors, but you didn’t recognize that I was having an adverse reaction to antidepressants. 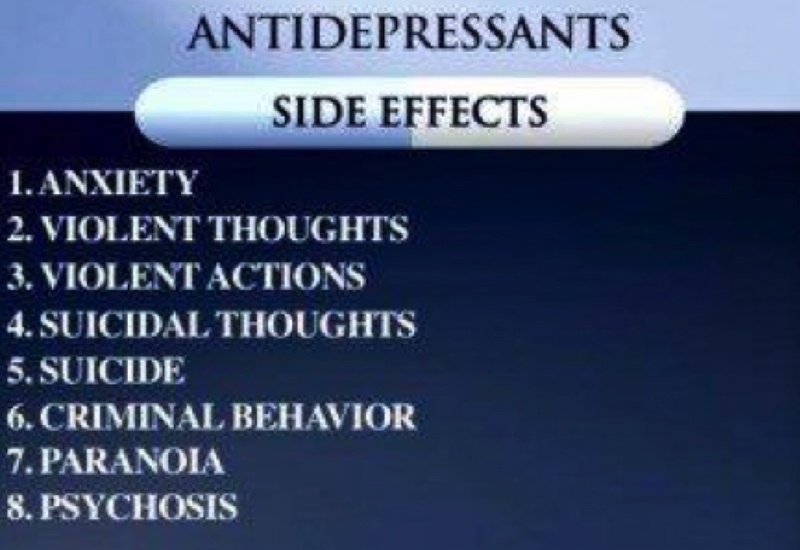 You gave me more antidepressants. When the agitation became so severe that I lost my sleep entirely, you said I had major depression and gave me even more antidepressants. You also gave me sleeping pills. You call yourselves doctors, but you didn’t recognize the adverse effects of benzodiazepines, plus antidepressants, plus sleeping pills. You said I had an adjustment disorder – but the only things I wasn’t adjusting to were your drugs. I frequently collapsed, sometimes on the street, and was twice taken by ambulance to Emergency where I was not treated with dignity. Not one of you recognized that one of the prescribed drugs was reducing my blood pressure precipitously. When I started twitching and shaking uncontrollably, you gave me more sleeping pills – to be taken three times a day. When I fell asleep during an appointment, you said I was ‘vegetatively depressed.’ When I was in constant motion, you said I was bipolar (manic depressive). You then settled on psychotic. You gave me antipsychotics. I started howling like a dog. I marched in place. My body movements became chaotic. My face twitched and my tongue darted in and out of my mouth. You call yourselves doctors, but you didn’t recognize the adverse effects of benzodiazepines, plus antidepressants, plus sleeping pills, plus antipsychotics. You call yourselves doctors, and you gave me 35 different psychiatric drugs in the space of eight months. You didn’t know what you were doing and you did it vigorously. You were treating the adverse effects of pharmacy and polypharmacy with more polypharmacy. (When people ask me why I took all those drugs, I can answer only that I would have done anything, agreed to anything, ingested anything to stop the horrendous agitation – there are no words to describe the horror of that agitation. And at some point my brain became such a toxic mess that I was no longer capable of reason.) You told me I had dementia. I was afraid I would kill myself, and I was afraid I wouldn’t kill myself. I wrote a living will and a Do Not Resuscitate directive. I gave away my belongings – especially those which had been most dear to me. You call yourselves doctors, and you said the benzodiazepines, antidepressants, sleeping pills and antipsychotics which you had prescribed weren’t working. You said I had a dissociative disorder. You cold-turkeyed me off many of the drugs, you ‘formed’ me, and you ordered electroconvulsive therapy (ECT). You wrote I was an “excellent candidate for ECT.” I refused ‘treatment’, but you coerced my husband into signing by telling him ECT was the last and only option. You held me for 10 weeks and treated me to 25 general anesthetics and 25 bilateral grand mal seizures. I don’t remember much except the assembly line of gurneys on ‘shock’ days. I shook from terror as I looked up at your cold matter-of-fact faces. I wondered if there would be anything left of my brain when you were finished with me. I thought I was going to die. I remember the stench of the rubber mask over my face, the IV going in and then, as the anesthetic hit, the plunge into merciful oblivion. And later – the blood in my mouth and the violent headaches. I didn’t know where I was. I didn’t know why I was there. I asked these questions of my husband after each ECT ‘treatment.’ My husband came to see me every day for two-and-a-half months and brought me a home-cooked meal each time. He came twice on ECT days. I did stop howling and my legs were no longer marching. I was now merely babbling, and shuffling my feet non-stop. My face quivered. You said I had benefited from ECT. You call yourselves doctors, but you didn’t consider I might have stopped howling and marching, and was now merely babbling, and shuffling my feet because you had withdrawn many of the benzodiazepines, antidepressants, and antipsychotics you had prescribed. You kept me on sleeping pills – three times a day, once at night. And you added new drugs. You said I would require weekly maintenance ECT for the rest of my life. You said I would require medication for the rest of my life. You told my husband I would not be coming home when you were finished with me. You told my husband to look for a long-term care facility for me. You call yourselves doctors, and you said you had done everything you could for me. we all had something in common – our legs were constantly moving. You, my doctors, told me my legs were moving because I had agitated depression. A pharmacist – the chief pharmacist of your institution – came to speak to the group and said it was akathisia – acommon adverse effect of medications! You, my doctors, were puzzled by my uncontrollable body movements. You used the best of modern medicine. You sent me for a sleep study, an EEG, a CT scan, and an MRI. The cause of the agitation, however, was sitting right there in your own office, on your desk –your prescription pad – the worst of modern medicine! For this, you doctors who took an oath to do no harm, medicated me to insanity and tortured me with ECT. I walked out and never returned to the support group. I didn’t return for maintenance ECT either, even though you threatened that I would relapse. You commented on my lack of intelligence. It’s all in my medical records. I tapered myself off drugs without your approval and without your help. It was hell – absolute hell. And I lived with the fear that you would have me seized and returned to your institution for more ECT. I no longer felt like a human being. During my ordeal, I was seen by dozens of doctors. It’s all in my medical records. Three of you questioned the diagnosis and then you did absolutely nothing about it. You systematically destroyed my brain and nervous system with ECT. I have amnesia. Over 20 years of my life are missing. Most of the memory of my life with my husband is gone. I also have anterograde amnesia – the loss of the ability to create new memories. Seven years post-ECT, I live with headaches, seizures, nightmares, an irregular heart rate, vitreous detachments, cognitive impairment, Parkinsonism-like tremors, Tourette’s-like symptoms when stressed, a paralyzed diaphragm which makes breathing difficult, severe hypoglycemia, and a painful cyst behind one knee from my attempts to control leg tremors by locking my knees. I can’t remember things. At home I have covered one wall with corkboard so I can pin up the notes that remind me of what I am supposed to be doing and when. I used to have a fine mind, a photographic memory, and I multi-tasked with ease. You, who call yourself doctors, also destroyed my husband’s life. When you discharged me from your institution, my husband collapsed from stress, grief, and guilt. He became despondent. He was emotionally spent. And then his heart failed. This was the husband who, in close to 60 years, had never missed a day of school or a day of work because of illness. He has now been hospitalized five times – three of those times in the resuscitation room. When I wanted to talk to someone about the trauma I endured at your hands – the trauma my husband had helplessly watched, seven of you doctors refused to see me. You admitted no guilt. You took no responsibility. One of you who did see me, told me what I was saying was libelous. Another one wrote that I had a ‘paranoid disorder’ and that ‘it would be difficult to medicate’ me. It’s all in my medical records. Most of my friends are gone. I was too much for them and they weren’t enough for me. Mental illness has a stigma. Psychiatric labels stick. I take no drugs. I live in terror of those who forgot they once took an oath to do no harm. However, if I met any one of you, my doctors, on the street; I would not recognize you. You stole my memory. 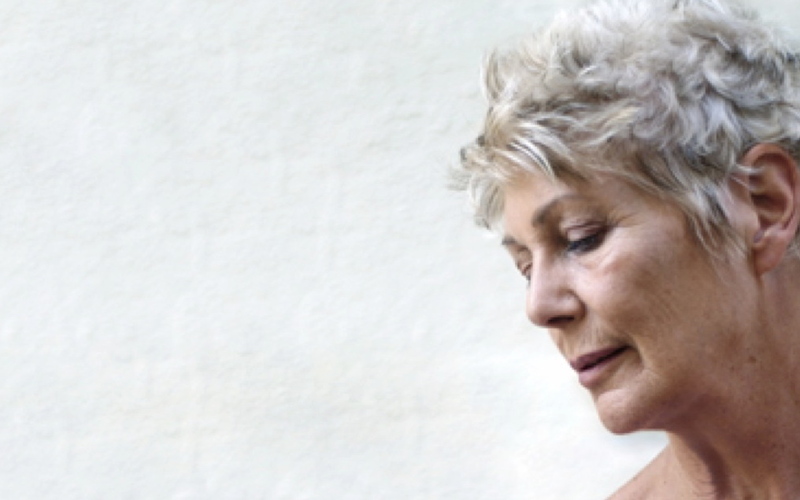 To this day, my husband of 30 years says I was not depressed – I just couldn’t sleep. To this day, my closest friend of over 60 years says I was not depressed. To this day, my colleagues of over 30 years say I was not depressed. I can present you, my doctors, with all the evidence in the world; but you are so entrenched in your beliefs – it will do no good. You did not need to find a needle in the haystack. There was an elephant in the haystack and you failed to see it and, to this day, you deny its existence. I presented you with monographs of the 35 drugs I was given – most with similar adverse effects of agitation, insomnia, depression, suicide – adverse effects which you were obviously ignorant of. You arrogantly dismissed my efforts to inform you. Many of these drugs now have black box warnings. You call yourselves doctors. You created an iatrogenic disease. You searched, you dug, you gouged for only negative things about me. Not one of you ever had a good word to say. Not one of you has apologized. The only oath you ever took was to ‘admit no harm.’ You also appear to have taken another oath, the ‘oath of silence.’ Seven years post-ECT I have not been able to get help for Post Traumatic Stress Disorder, nor have I been able to get cognitive remediation. You doctors are entitled to your opinions, but you are not entitled to your own truth. My truth stands up to scrutiny. Here is my list of drugs from my medical and pharmacy records. Most of the drugs were prescribed by one psychiatrist: Several were flipped back and forth. I might have missed some. Methoprazine (Nozinan), Paxil, Remeron, Zyprexa, Risperdal, Parnate, Haldol, Aventyl, Cogentin, Loxapine, Chlorpromazine (Largactil). A psychiatrist who was shown this list by a friend of mine asked: ‘Is she still alive?’ I had wanted to get into his practice, but the waiting list was very long. American psychiatrist Peter Breggin, advocate for drug-free treatment and empathic therapy, author of Toxic Psychiatry, Medication Madness, Your Drug May be Your Problem, Brain-Disabling Treatments in Psychiatry writes: “most psychiatric drugs can cause withdrawal reactions, sometimes including life-threatening emotional and physical withdrawal problems. In short, it is not only dangerous to start taking psychiatric drugs; it can also be dangerous to stop them. Withdrawal from psychiatric drugs should be done carefully under experienced clinical supervision” Please visit http://www.breggin.com and http://www.empathictherapy.org for more information. Irish psychiatrist Michael Corry (1948-2010) also campaigned for the rights of mental health service users, opposed bio-psychiatry and psycho-pharmacology, and campaigned for the abolition of ECT. Dr. Corry once said: “I’d like to drive a dagger through the heart of psychiatry, but I can’t find a heart.” Please visit http://www.wellbeingfoundation.com for more information. Thank you Vitality Magazine for putting this story out there. Thanks. Gross Negligence? It goes beyond negligent and it’s Way beyond Gross. I just explained Sec 1958 at Leoni’s. Sec 1958 specifically criminalizes the use of Interstate Commerce Facilities in the commission of murder for hire. 1: Are Interstate Commerce Facilities in the US being used to distribute Psychiatry’s drugs? The State Police don’t have time to concern themselves with Brain Death, Heart Attacks, or even Suicide. They DO concern themselves with murder/potential murder. And once you walk through the 1958 door you find the doors to sec 1957, 1956, and 1952 also unlocked. The Statute however is extremely specific as to what IS the Court’s concern/duty to address. The Statute doesn’t specify that the victim be identified by name or in any other fashion, only that the end result be murder. And while selling Suicide which is much more common by these drugs may also be described as selling the act of self-murder, the Statute doesn’t even require characterizing self-murder as an offense. It’s an additional legal hair which might be split-able here, though the Statute doesn’t require it to. If the people involved in any aspect of these drugs reaching the public sell them across State Lines without actually Walking them down the freeway in cardboard boxes, then there Are grounds and Courts do have jurisdiction to at least Hear the argument. The Racketeering Laws are the direct consequence of behaviorist Social Engineering. In America the 18th Amendment criminalized alcohol. Bootleggers grew into very rich organized crime syndicates by providing alcohol. When the 21st Amendment repealed the ban those crime syndicates had scads of money which they put into other illegal activities, and Congress created the Racketeering Statutes to suppress the crime syndicates that the prohibition of alcohol created. Well said dbunker and thank you for your input. You seem to have studied up on this. They are criminals in every sense of the word. How are we supposed to taper “under supervision”? I can only do it on my own. When I asked for help with it, the doctor wanted to “add a little bit of Abilify”! I write notes to myself: You feel bad because you are in withdrawal. It will be over before long. Because otherwise I might start to believe them again. There is nothing wrong with my brain. My list of diagnoses went from schizophrenia to paranoia to chronic undifferentiated schizophrenia to schizotypal PD to schizoaffective to bipolar personality disorder. 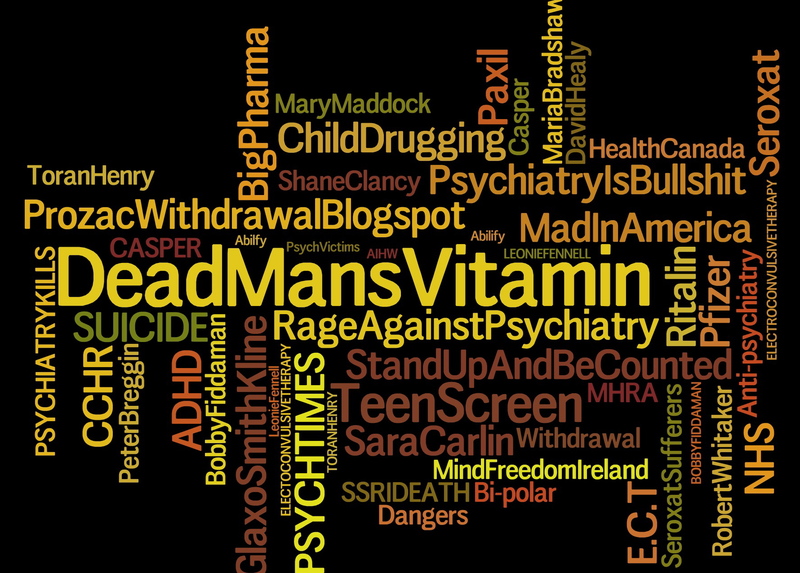 If I had never seen a psychiatrist I would never have had any of these labels or the hundreds of pills and the almost ruined life. I am still tapering. On. My. Own. I’m so sorry to hear that. I understand it’s extremely hard to come off these drugs. Have you gotten into communication with someone who’s been through this already? They may be able to help you or at least put you in the right direction. There’s Seroxat Sufferers Stand Up And Be Counted (website) or Prozac Withdrawal Blogspot. Also, they are getting great results over at Truehope Nutritional Products. They help you every step of the way. They have a phone in help centre there also. I’m pretty sure that all the people in the help centre have been in the same boat as you, so they know what they’re talking about. Good luck to you and if I can be of any assistance, please let me know. Yes, they do. With no legal ramifications. My psychiatrist suggested that I sign up for True Hope to aid my bipolar disorder eight years ago. I then started consuming enormous quanitities of overpriced vitamins and supplements in addition to my regimen of three psychotropic drugs. True Hope would periodically call me as “support” and prod me for recommendations and testimonies for their product(s). They never gave me the idea that the drugs were my problem. After a year or so, I eventually quit their vitamins and continued on my drug spiral with new and worse cocktails for another seven years. I’m really sorry to hear that Emily. I have spoken with a few people who said it saved their lives. I hope you were able to get off these drugs.